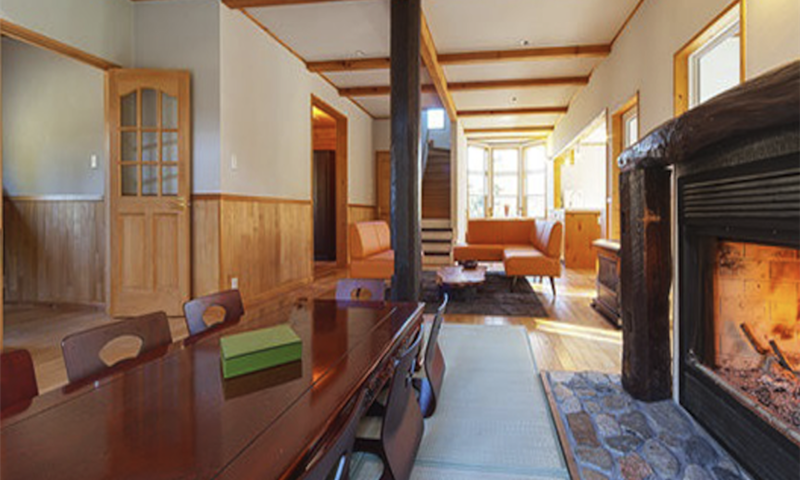 Located on the slopes of Hakuba Goryu ski resort, Alpine Tenshi Villa is a stunning 3 bedroom ski-in ski-out property. Ski straight down to the lifts and straight back to the chalet at the end of the day! 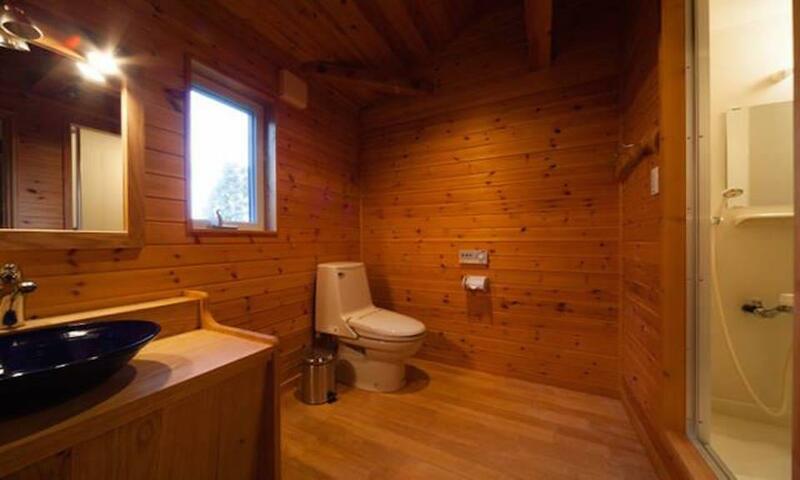 With plenty of space to relax, this beautiful feature-filled chalet is perfect for groups of friends or families alike. 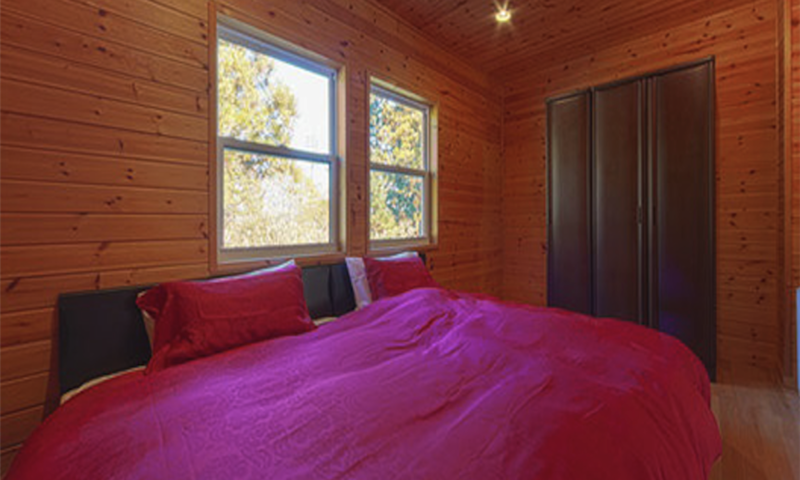 Located right on the slopes of Hakuba Goryu ski resort, Alpine Tenshi Villa is a beautiful 3 bedroom, 2 bathroom self-contained chalet which sleeps up to 9 guests. Accessing the slopes from this peaceful and idyllic setting couldn’t be easier! Ski straight down to the lifts and gondola, and straight back to the chalet at the end of the day. With Goryu’s beginner friendly lower slopes right on the doorstep, this chalet is perfect for families and groups of friends. Whether you want the best access to first tracks in the morning, or a chalet which offers the ultimate convenient location for your afternoon ski break, Alpine Tenshi Villa offers an effortless experience! 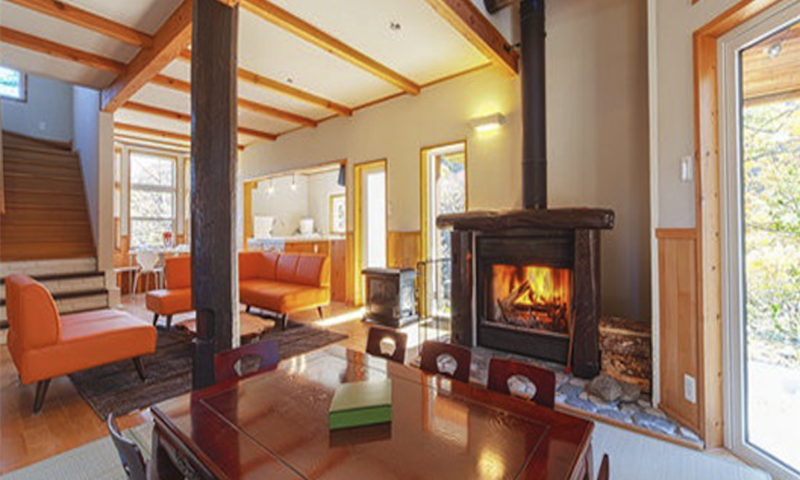 This beautifully designed alpine retreat provides plenty of space to relax and lots of modern comforts. Featuring modern, comfortable Western/Japanese fusion furnishings and a spacious open-plan dining and living area with fire place, you’ll feel instantly at home. 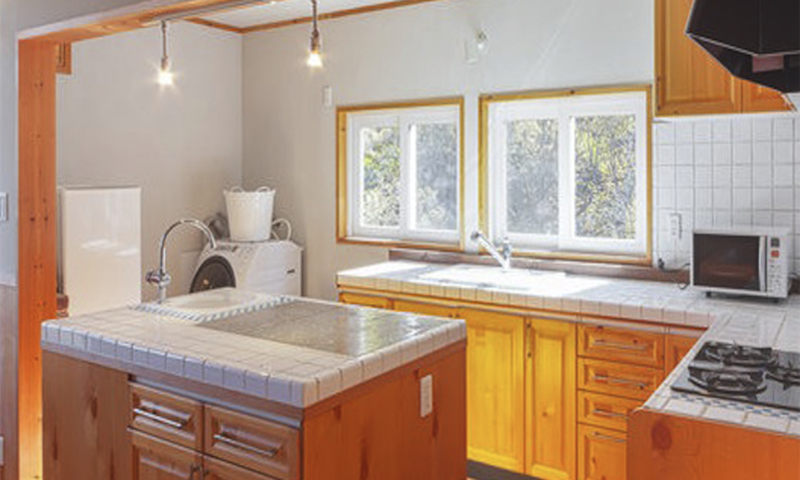 Light floods in the many windows, giving the chalet a lovely airy feel. 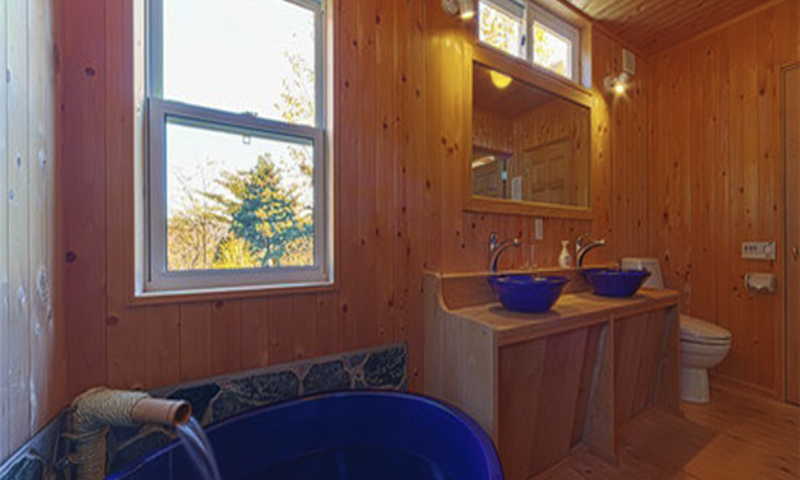 With everything from ski storage and laundry facilities, to WiFi and a traditional Japanese style bath, no detail has been missed. 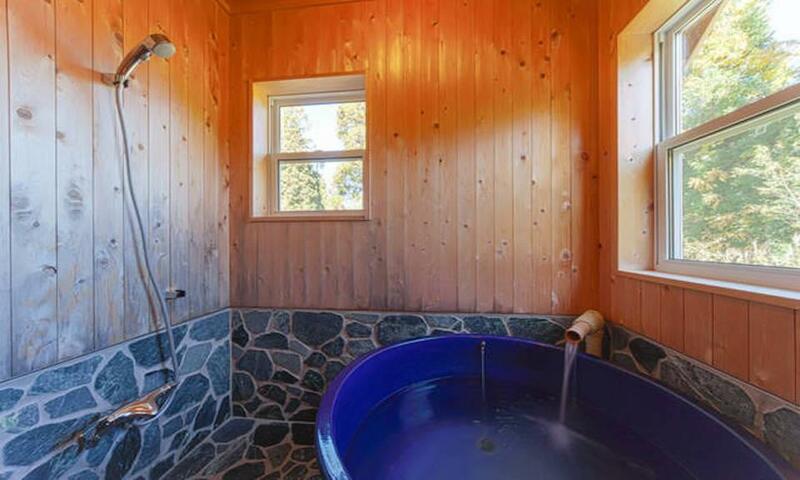 At the end of the day, sit back and relax, and enjoy the peaceful mountain ambience or soak in the chalet’s beautiful Japanese bath tub. A complimentary supermarket shuttle is provided on your first day and the property manager is on-hand throughout your stay to assist and answer any questions. 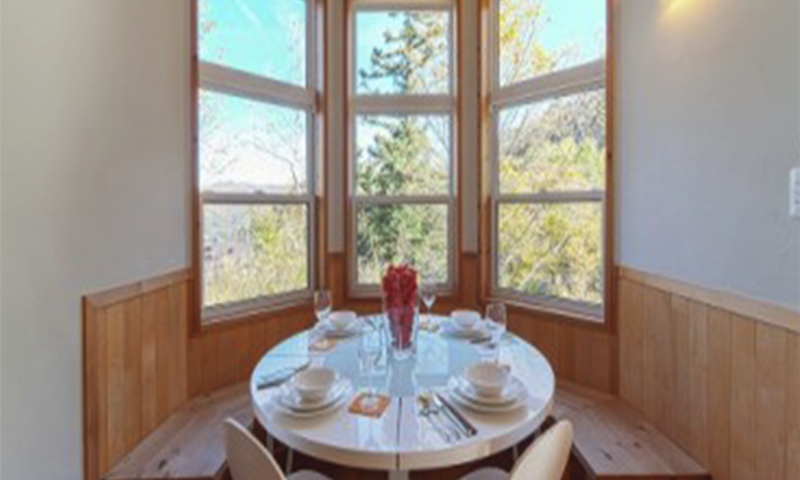 Whether it’s your first visit to Hakuba or you are returning for more world-class skiing, you’ll really get the most out of your holiday at Alpine Tenshi Villa. Alpine Tenshi Villa offers true ski-in ski-out access to Hakuba Goryu’s slopes, giving instant access to the beginner friendly lower slopes of both Goryu and Iimori, perfect for families and those learning to ski/snowboard. More advanced skiers can ski straight down to the Goryu gondola and head for the upper slopes. 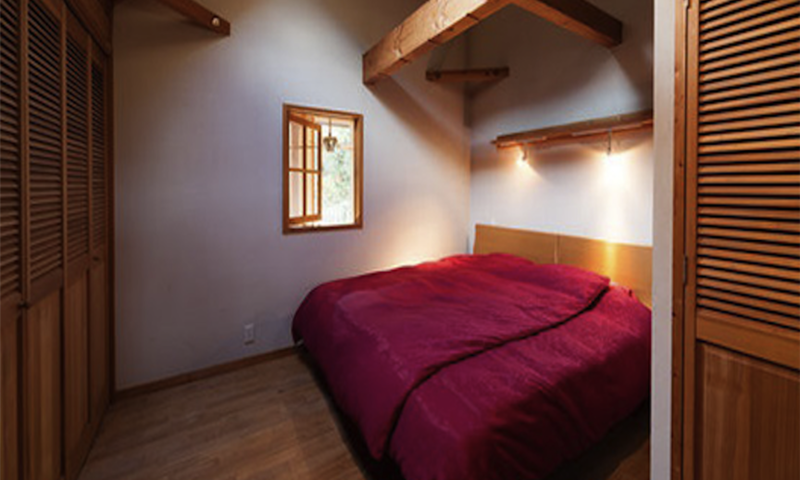 The prime slope side location of this chalet also offers easy access to the Hakuba Goryu village area’s nice selection of restaurants and bars, which are a short stroll away. 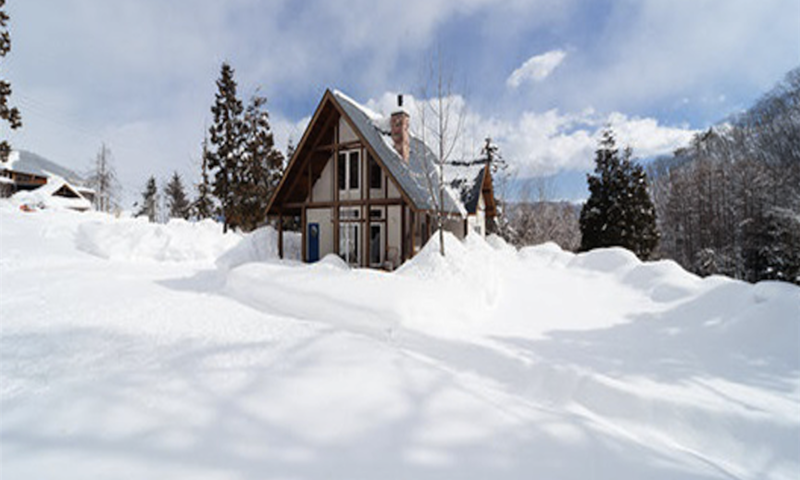 The Goryu area of Hakuba lies at the base of Hakuba Goryu ski resort, which is interconnected with Hakuba 47 ski resort - two of Hakuba's most popular ski areas. With terrain to suit all levels, Goryu Iimori is also home to the excellent Hakuba Snowsports ski school. For those who would like to venture to some of the Hakuba Valley’s other resorts during their stay, the shuttle stop if only a 4 minute walk away. 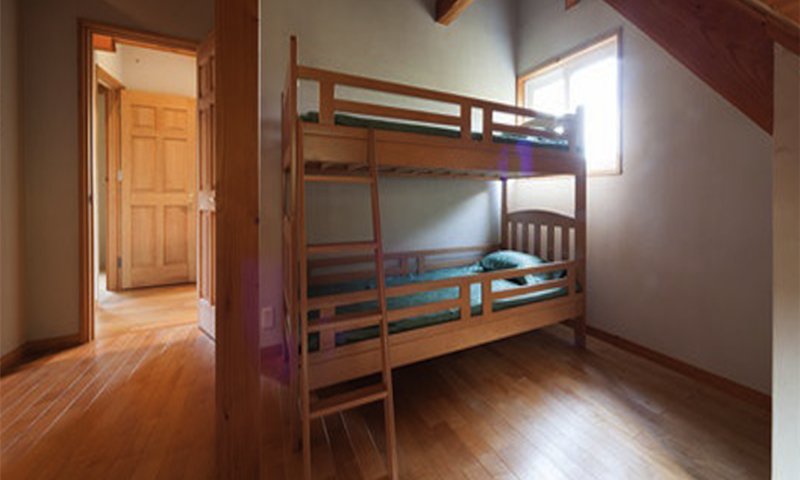 For rentals, Central Snowsports have a conveniently located store at the base of Goryu ski resort. The Escal Plaza base building of Goryu ski resort is located just at the bottom of the road, for shuttle buses, cafes, convenience store, restaurants etc.